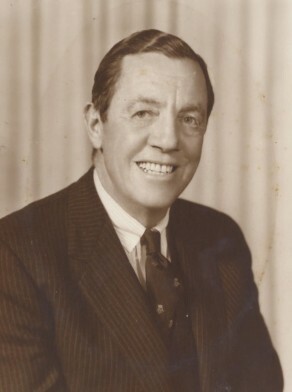 William Herbert Northam was born at Burwood, Sydney, in 1901, son of Kathleen Northam (d.1959). In 1929 at Chatswood he married Esther B, daughter of Edgar and Annie Herford. He died in September 1988. William Northam was a director of several companies and was highly respected in the business community. In 1964 Northam became the first Australian to win an Olympic Gold Medal in Sailing when he sailed Barrenjoey to victory in the 5.5 meter class at the Tokyo Olympics. Lake Northam in Victoria Park near Sydney University is named in his honour. In 1961 Northam was appointed Life Governor of the Royal Prince Alfred Hospital. He was a member of the National Fitness Council of NSW. Northam was declared Father of the Year in August 1965. Sir William Northam was made CBE in 1966 and knighted (KB) in 1977 for distinguished services to the community.